During the careful renovation of the stone house, we have taken care to preserve the original architecture. 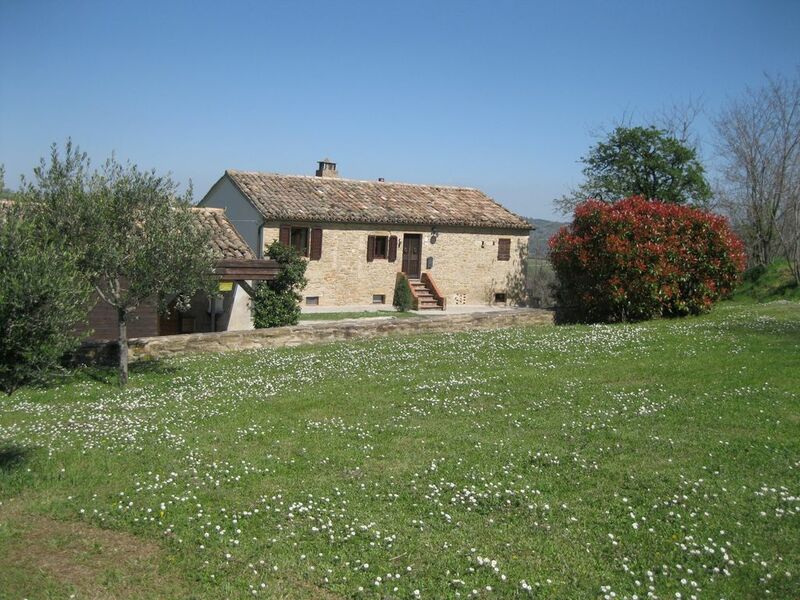 The house enjoys, on the 1800 m2 of land, surrounded by fields, a wonderfully quiet location with stunning views. But it also offers the advantage of being able to reach the place with a restaurant and a small supermarket in 5 minutes. A holiday home ideal for families. Feel well in our Rustico. On 2 floors we have 4 bedrooms and 2 bathrooms. You like to cook yourself, no problem in our well-equipped kitchen on the first floor. Make yourself comfortable in the living room on the ground floor. Enjoy the culinary delights of Italy in the shade of the pergola on our terrace or in the spacious kitchen with open log fires in the cooler season. Relax by the pool, unwind in the tranquility of the large garden and for children a paradise to play and run around. Everyone will find their favorite place here! More pictures and information are very welcome on request! All windows have mosquito screens. A note to the pool - we have a comparatively small pool (depth 1.20m - diameter 4.50), but still a great fun factor guaranteed and always appreciated for a refreshment. Bitte beachten Sie bei einer Belegung von weniger als 5 Personen unser Inserat mit der Objekt Nummer 762688 - es gilt eine günstiger Miete. Wenn Sie Handtücher und Bettwäsche von uns gestellt bekommen wollen, berechnen wir für diesen Service eine Gebühr von 10.- pro Person extra.